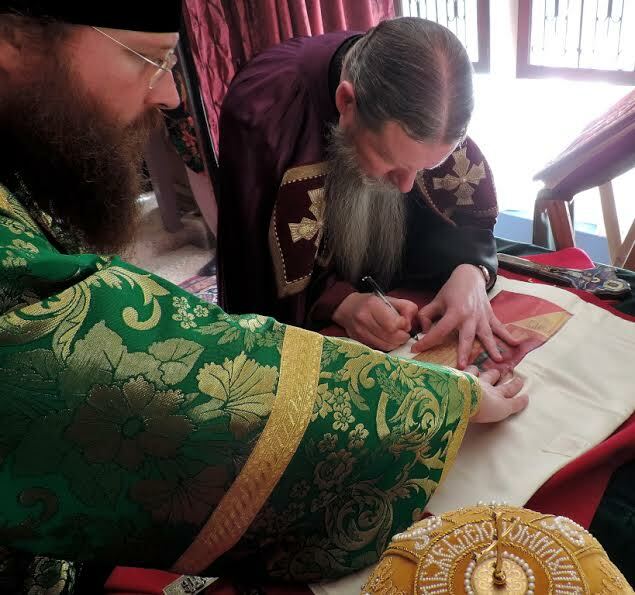 The solemn dedication was also participated in by His Grace Theodosy, Bishop of Seattle; the abbot of the monastery, Archimandrite Irenei; many clergy of the Western American Diocese; other local clergy from various Orthodox jurisdictions; and approximately 180-210 pilgrims. 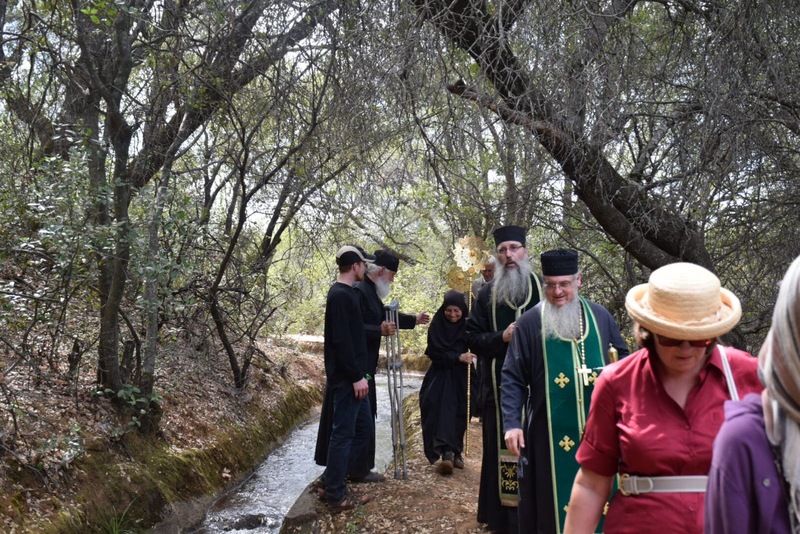 At the end of the Divine Liturgy a sermon about Saint Silouan and the purpose of monasteries for the world was given by Archimandrite Irenei; and the Divine Services were completed as the faithful participated in a Cross Procession through the grounds of the monastery property. 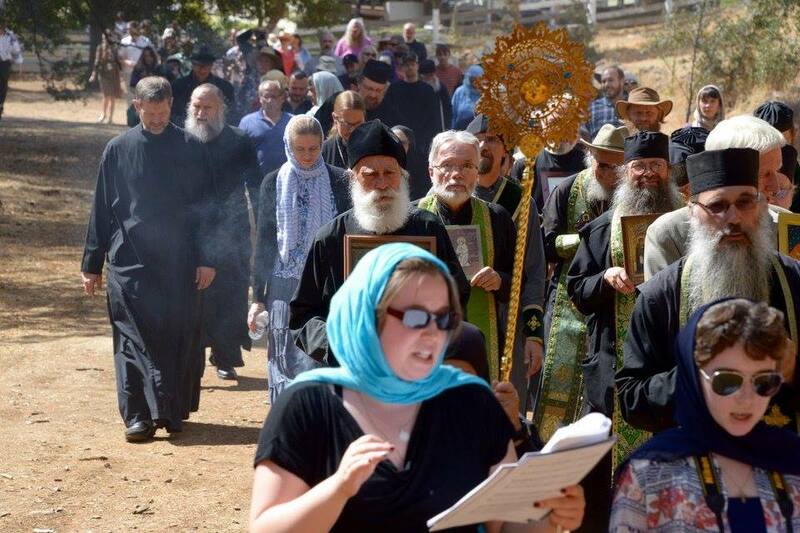 With lamp, cross and banners, holy relics of the Saint and the monastery’s newly-commissioned Patronal Icon, the clergy, choir and faithful trekked in orderly formation across the expanses of the monastery, at which time the sites for new cells, the cemetery and a new cross high upon a ridge were blessed. 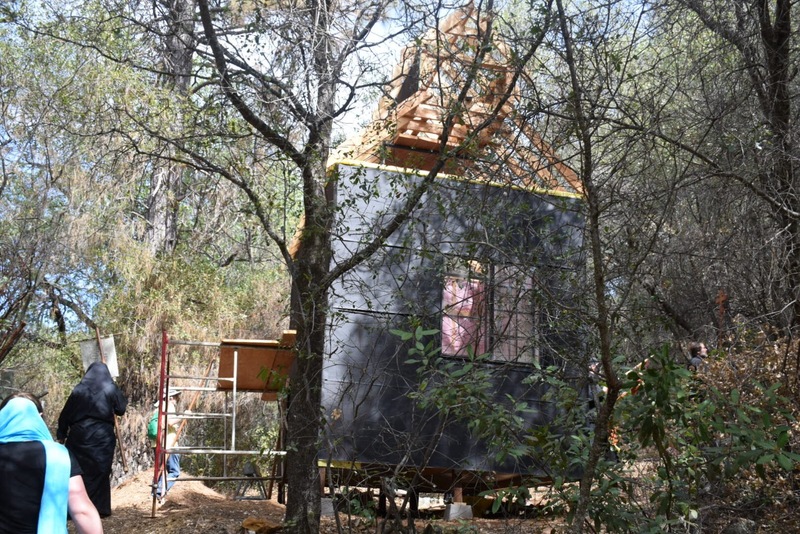 This new monastery is located in the foothills of the Sierra Nevada mountains, not far from the historical Gold Rush town of Sonora, California. 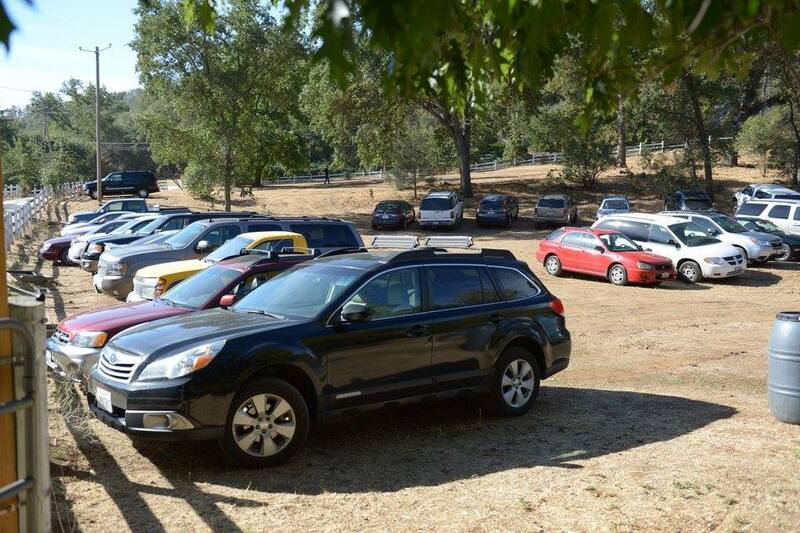 From the heights of the monastery’s 47-acre parcel of land one can glimpse parts of the renowned Yosemite National Park. Possessing both peaks and lowlands, and with a natural year-round water supply, the site is well suited for the monastic life. The fathers will live in individual cells that will dot the hillsides above the entrance and current complex. On the hills’ inclines, plans are being made for the construction of a chapel for daily prayers and perhaps, in time, a new refectory. Below, towards the entrance to the monastery, are existing structures currently serving the needs of the brotherhood. In this area, a catholicon will be constructed for use on the major feasts of the Church. 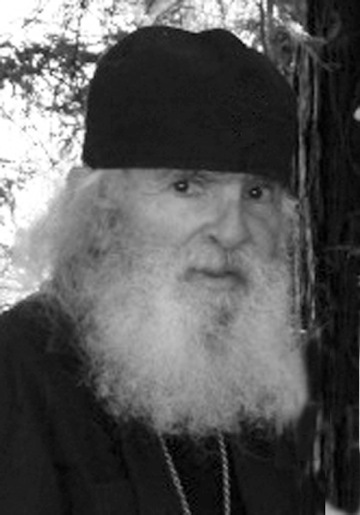 The core language of the monastery, regardless of the national or ethnic background of any individual brother, is English — following a practice observed at the Monastery of Saint John the Baptist in Essex, England, which was founded by a close disciple of Saint Silouan the Athonite, Elder Sophrony (Sakharov). 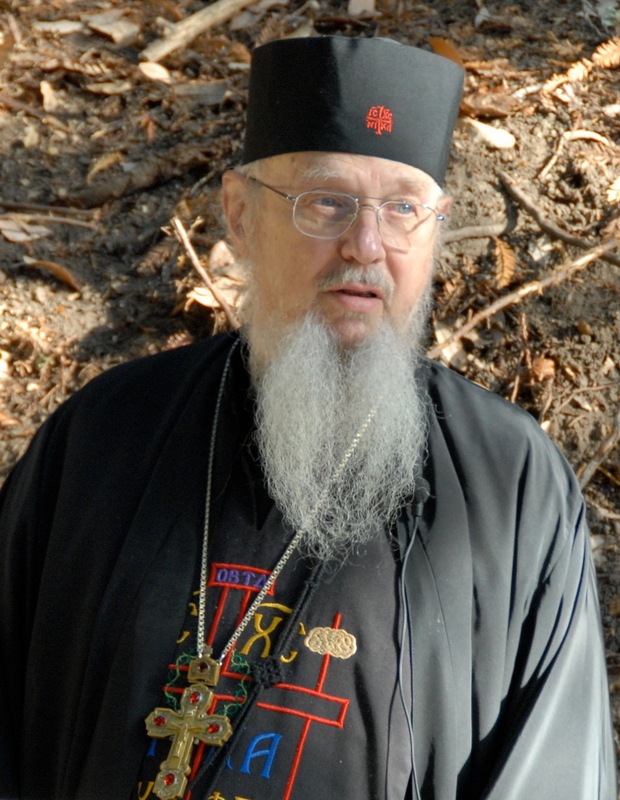 The liturgical language of the new monastery may vary according to the preference, abilities and ease of prayer for a given member of the community (chiefly English and Church Slavonic), but the day-to-day affairs of monastery life are conducted in the language of this nation, thus facilitating a vital unity among the brothers. Although today’s brotherhood is small, consisting of three — the Abbot Archimandrite Irenei, Monk Ignatius and Novice Andrew — it is by no means immature. 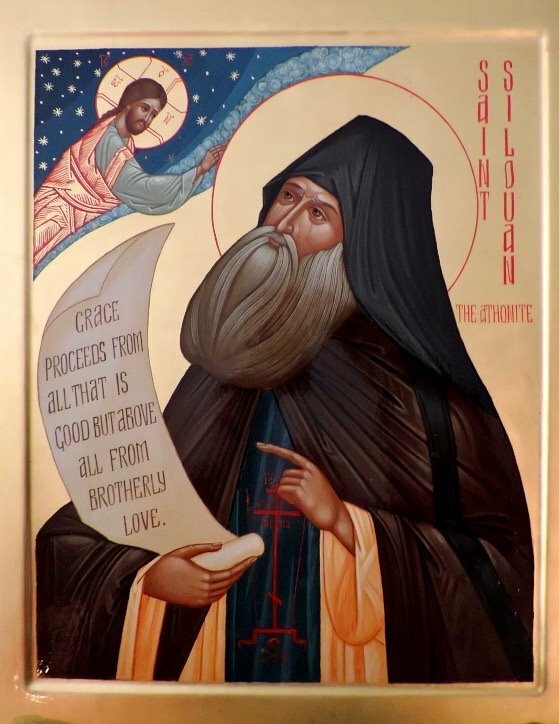 In reference to its solidity, Archbishop Kyrill has said that Saint Silouan’s brotherhood is a true brotherhood, by virtue of those members who have already passed on to the age to come. 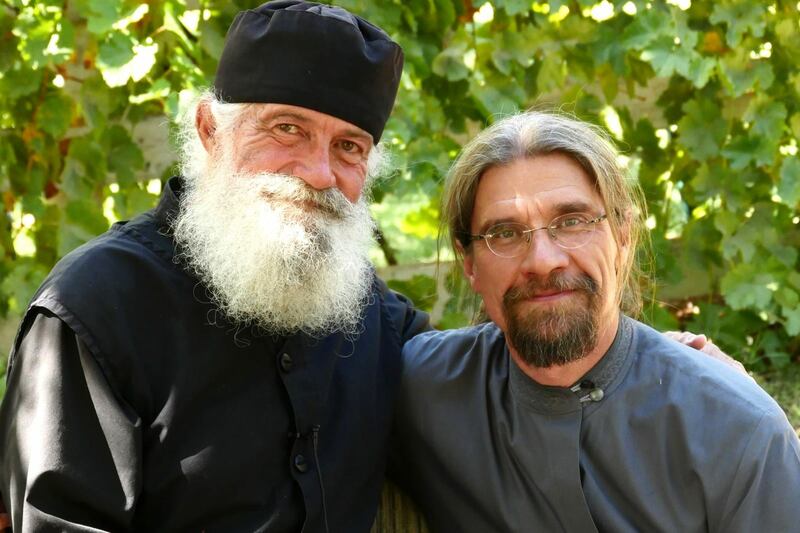 By this Vladyka Kyrill has in mind the reposed members and co-founders of this monastic brotherhood, Schema-Archimandrite Damian and Hieroschemamonk Simeon, both of whom valiantly struggled in the unseen warfare of the monastic Cross to the end. And now, from the other Life, being the hoped-for destination of every Orthodox Christian, they send their blessing upon the monastery. The brotherhood of Saint Silouan is therefore well seasoned by the struggles of its holy predecessors. The tears of repentance that they poured out in this life, and the sacred remains of their bodies, are a seed of faith for all who will be called to abide in Venerable Father Silouan’s monastery. 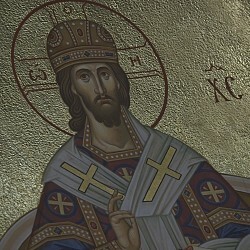 The immense significance for our times of St. Silouan cannot be overestimated, for several reasons. The Saints live forever, and the labors they perform while in this earthly life are of prophetic importance. Saint Silouan prayed for all of mankind: for all Orthodox Christians, as well as for all peoples, perhaps even more so for the latter, that they would come to know the love of God. Although Saint Silouan himself reposed in 1938, during his earthly life he prayed for those of us who had not yet been born. He foresaw us through his prayers. He has spiritually conceived many. His earthly work operates prophetically when any who have come into contact with him through his disciples or his writings have become deeper followers of Christ our God. Furthermore, Saint Silouan is a beacon and instructor for today’s unstable and fearful generation. We have so many starts and stops to our spiritual life. We fail often; we lose hope. We are tempted to give up our cross and our faith. We become bitter, seemingly estranged from God. For this we have Saint Silouan, who in all his struggles, in all of his faithfulness and after pouring so much “blood” in his ascetic quest for the Holy Spirit, said to God: “Thou art implacable!” It was at this moment that the Holy Spirit revealed to him an important message for our time: “Keep thy mind in hell and despair not.” In other words, God tells us exalt not ourselves. To repent of our sins. And no matter what depth of despair our souls should endure, never to lose sight of the unfathomable abyss of His compassion and love for us. The Venerable St. Silouan, who today is widely loved and venerated throughout the world, was not really known during his life-time. No special recognition or attention was paid to him, and he successfully hid his abundant spiritual gifts from the sight of others. This is a precious example for all Orthodox Christians of our time on how our spiritual life should be hidden from others, but known by God our Father, Who seeing what is performed in secret, rewards openly. 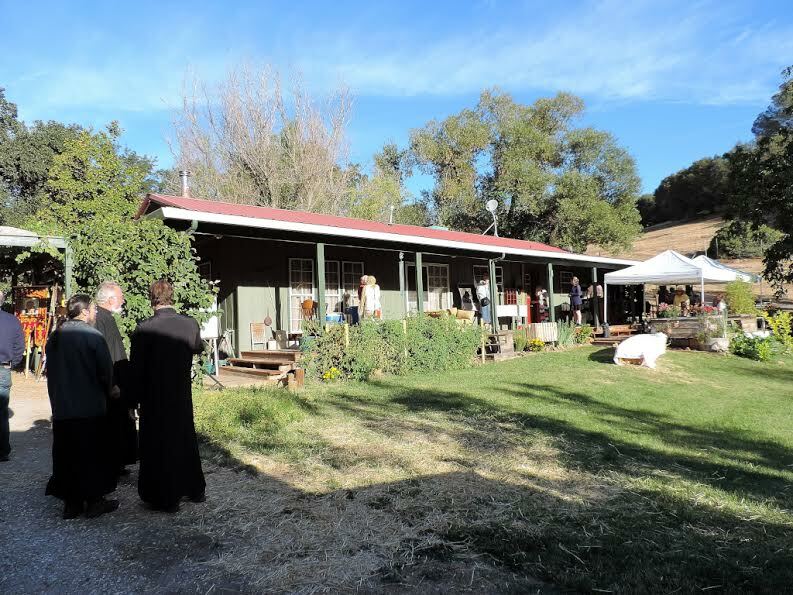 The Monastery of Venerable Silouan the Athonite, located at 21285 Old Sonora Columbia Road, Sonora, CA 95370-8807, is open to visitors and pilgrims. Please, contact the monastery in advance for information on accommodations. Attention Guest Master: St.SilouanMonastery@me.com. Phone: 209-694-0391. Seen here are Schema-Archimandrite Damian and Hieroschemamonk Simeon (reposed) and stavrophore monk Ignatius.